My journey with thyroid disease, so far….. 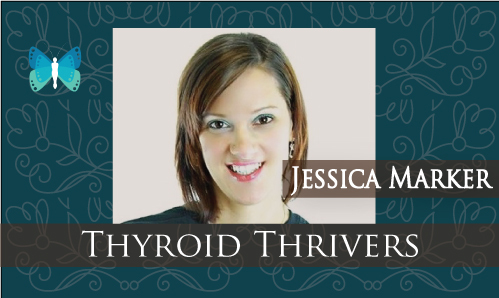 I was diagnosed with hyperthyroidism at age 24. I suffered an overwhelming year of anxiety/panic attacks, heart palpitations, fatigue and the list goes on and on. I was misdiagnosed by two family doctors. No surprise! The first doctor couldn’t believe how someone my age could have this many things wrong with them and wanted me to seek counseling. He is the doctor, so I took his advice and went to counseling for a couple of months. Of course, that wasn’t the issue, so it didn’t help, at all and I was still miserable. I decided I was going to find another, more qualified family doctor. My search brought me to a new, woman doctor. She did a lot of blood tests, for all different problems, which thankfully included my thyroid gland. However, she told me my blood work looked fine. Her suggestion was that I need to be on Prozac. I refused, profusely. How can this be happening, I thought? I knew, deep down, something was seriously wrong with me and I was afraid. I knew I wasn’t crazy, although I was being made to feel like I was. Eventually, my good friend, Vicki, suggested a I see an endocrinologist. Wow, what a wonderful idea, why didn’t I think of that?! Thank goodness for friends! Immediately, I asked my current doctor for a referral and made my appointment. After four, long and grueling months, that didn’t pass without all of my symptoms interrupting my daily life, my appointment arrived. July 24th, 2013 is a day I will never forget. I finally got the answers I needed and had been patiently waiting for, for a what seemed like forever. The endocrinologist said I have hyperthyroidism. He put me on Levothyroxine 50. Finally, an answer! I wasn’t thrilled about it, but I was glad to know what was wrong with me and it proved I wasn’t crazy. I was told there wasn’t a cure and that I would be on medicine forever. I didn’t like it, but it gave me a strange, sort of relief to finally have my diagnosis of hyperthyroidism. I could move on. The process alone isn’t easy. Denise, a new, good friend, came into my life, at just the right time. I felt lucky, in a backwards kind of way. She held my hand when I needed it most. She offered life-changing suggestions, for the better. Green smoothies became a daily routine. The switch from milk to almond milk was an easy one to make and I also moved away from sugar, white/processed foods and salt. Additionally, I started to incorporate maca powder, which gives you natural energy, into my new schedule. Spending countless hours, researching my disease on the internet, I also found some wonderful and very informative Youtube videos, Dr. Johnson, in particular. Not to mention, the fabulous Facebook groups and forums I joined, that further propelled my knowledge and understanding of a disease I had never heard of, just 6 months before. By eating organic foods, using all natural vitamins and herbs, along with Levothyroxine, I felt better then ever. I had a name for my disease, Hyperhyroidism and two good friends to stand by my side. Thank you for allowing me to share my most terrifying and personal moments, in my life, so far. It is a journey and I am tackling it, HEAD-on! Join me at Beautiful Inside and Out With Thyroid Disease. This does not make any sense! The Levothyroxine is used to treat HYPO- NOT Hyperthyroidism!! Actually I just found Im diagnosed with hashimotto by a new endocrinologist Dr. My last one sucked he never checked my antibodies. But I was having episodes of hyperthyroidism and hypothyroidism. Weird.